Johnny Manziel is making nice progress in his return to professional football. 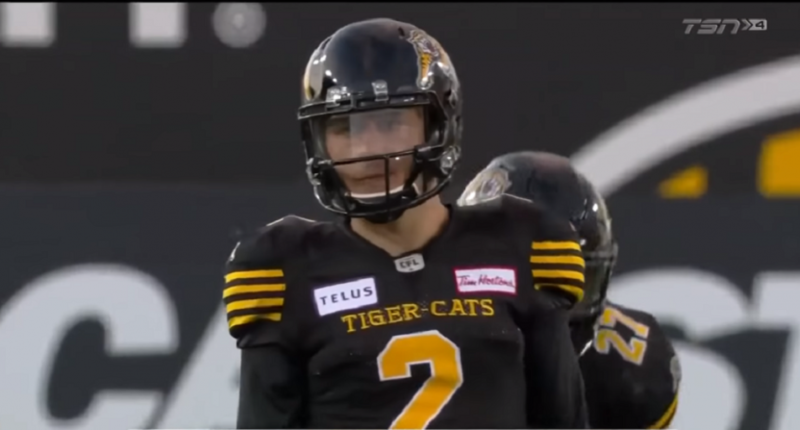 You won’t see a preseason CFL game get as much buzz as Friday night’s Hamilton Tiger-Cats’ game against the Toronto Argonauts. That’s because it was the CFL debut of Johnny Manziel. The former Heisman Trophy-winning quarterback entered the game in the second quarter as Hamilton’s No. 2 quarterback. He got 23 snaps, and completed 9-of-12 passes for 80 yards. As has always been the case with Manziel, he seemed to be most successful on the move, making plays happen out of the pocket. This looks a bit like the Johnny Football days at Texas A&M. It was the former NFL first-rounder’s first professional football game since December 2015, when he was finishing up his disappointing days with the (always disappointing) Cleveland Browns. Yes, it’s not the NFL, and it’s not even a regular-season CFL game. But this was a big night for Manziel and a step forward in his return to football. The NFL remains a longshot, but Manziel appears to have a pro football career ahead and may at least get a camp/tryout look from NFL teams if he keeps making progress.